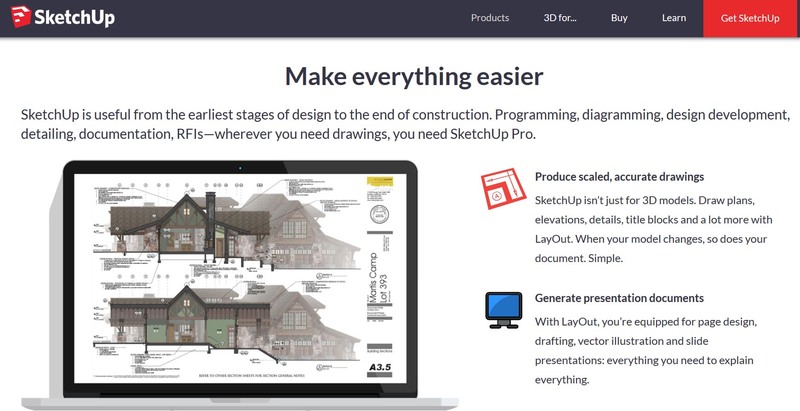 SketchUp is owned by Trimble Inc.,a mapping, surveying and navigation equipment company.There is an online library of free model assemblies (e.g. windows, doors, automobiles), 3D Warehouse, to which users may contribute models. The program includes drawing layout functionality, allows surface rendering in variable "styles", supports third-party "plug-in" programs hosted on a site called Extension Warehouse to provide other capabilities (e.g. near photo-realistic rendering) and enables placement of its models within Google Earth.